Fitness Fridays - #4 - Baby Doodah! Oh yes, folks – It’s Friday!! Though, a lot of folks had off today, so yesterday was their Friday. I’m so excited for this long weekend! We don’t have a lot planned, but it is shaping up to be productive, purposeful and fun. First up, I’d like to thank Rebecca from Flex and Shout Fitness, for stopping by and linking up. Please stop on over and give her some love!! She has a great circuit workout on the post I linked up there, make sure you pin it for future use. This week’s Fitness Fridays is a bit different, Kathy is taking a week off, but I wanted to post this week for two reasons – number 1 being so I can talk about my weight loss (we’ll get to that in a bit), and number 2 is because I want to keep the routine going. I tend to get lazy if I stop a routine. So, here I am! It’s no secret that I have struggled with depression, I’ve talked about it on here and in my in personal life. My moods swing up and down, but lately, they’ve been swinging more UP! I’m really happy that I can say that it isn’t just happening, I’m working hard at it. I am doing things to make my life better and stronger! 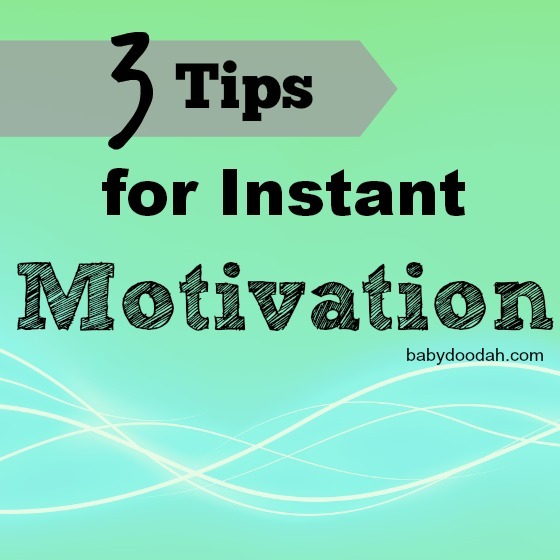 Here are my Top 3 tips I use to keep my motivation for life UP! 1. Wake-up and Make No Excuses! On those days when I wake up at 4:30 in the morning and I don’t feel like doing anything but hitting snooze and the pillow, I literally force myself out of bed, I won’t except no for an answer. Once I’m up and moving I tell myself that I need to move around, make my coffee, sit at the table and think, anything but lay on the couch for at least 10 minutes. 9 times out of 10, once that time has passed I’m awake enough to get my workout in and don’t feel like laying down, wasting the quiet time. That workout is KEY to my happiness, right now! 3. Surround Yourself with People that Motivate and Inspire you. I know this seems like a given, but so many people don’t understand the necessity of having people who like to workout and eat well in your life. These are people who are a walking billboard for health. They’re the ones that kick your a** when you say you don’t feel like working out today, or that you’re going to eat that delicious cupcake. They’re also the ones who praise you and high five you when you do EPIC sh*t! Those are my top three! I’d love to hear about yours in the comments! Are you ready for this…………..? 3.2 lbs!! Bringing my grand total to 4.8 lbs! I am .2 away from my first reward. Yay! This is what happens when you work the program. I’m still following the 21 Day Fix (if you’re interested in learning more about the program, please email me at jillianokeefe1022@gmail.com), and it is working AWESOME! I wasn’t completely successful, but I am not disappointed in the effort that I put in. I did 6 workouts, but only once a day. I just couldn’t squeeze in that 2nd workout. I need to work on that! Next week’s goal is to continue with the 21 Day Fix, doing 6 workouts and then 2 days of running or biking outdoors. Getting outside and in the sun will really benefit me. Before I go into what my goal was and will be next week, I want to share that I have not had an emotional binge or any other type of binge in 3 weeks. That’s not to say that I haven’t had some junk foods (ie: pizza), but I did not binge. I ate a normal, healthy amount, and felt no guilt! THIS IS HUGE! I’ll be talking more about this next week. I honestly truly feel like I can attribute this curbing of cravings to Shakeology. The stuff is so darn good, makes me feel good and has cut out most of my cravings. And the ones I do get, I am getting better at ignoring, or finding ways to cope with them. Alright, last week, I stated I wanted to continue with the 21 Day Fix meal plan and Shakeology. I did both to a T! Go me! Next week, I will continue to stick to the 21 Fix Meal Plan and Shakeology (love this stuff!). If you’re wondering the reason for me continuing with the 21 Day Fix Meal Plan, it’s because it is so easy to use. The different colored containers and the lists of foods that you can eat, make it completely fool proof. If you’re interested in learning more about 21 Day Fix or Shakeology, I can provide you with information on both. Please email me at jillianokeefe1022@gmail.com I’d love to hear from you! Okay that about does it, be sure to link-up your posts below, I love reading them and highlighting your blogs on mine. Let’s grow our followings together! What’s your favorite way to keep your motivation up? Share in the comments below! Looking at old photos of how I used to be. That’s a great one!! I will add it to the list! Thanks for visiting!